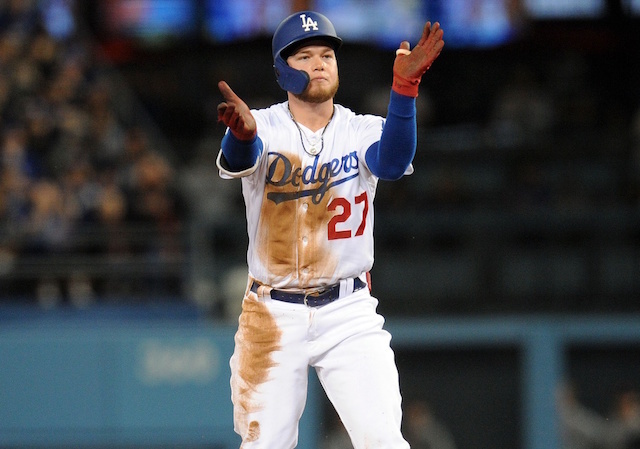 The Los Angeles Dodgers found themselves in an all-too-familiar situation in Game 1 of the National League Division on Friday night. Clayton Kershaw, on the hill for a third postseason opener in as many years, was in the midst of a dominant outing against the New York Mets. Then the seventh inning arrived. 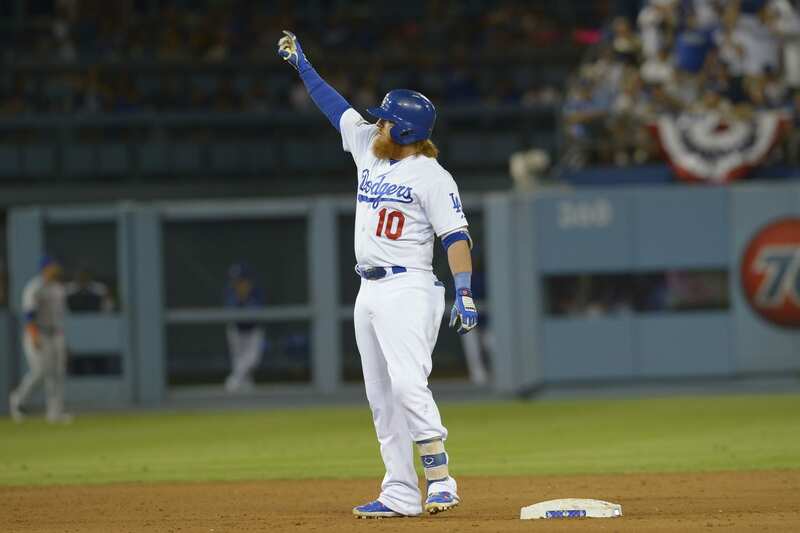 With the Dodgers trailing 1-0, Kershaw walked Lucas Duda to begin the inning. Two batters later the reigning NL MVP also put Ruben Tejada on base; to Tejada’s credit, he fouled off multiple pitches before drawing the walk. “The 3-2 pitch to Tejada, I probably want back. 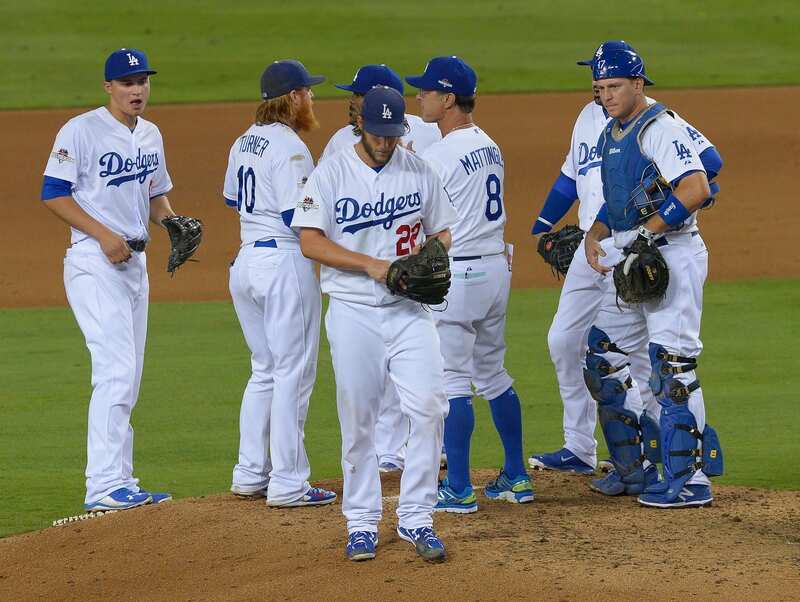 The ball kind of slipped out, and I really wanted to have that one back,” Kershaw later said. Following a Jacob deGrom sacrifice bunt, Kershaw walked Curtis Granderson to load the bases, and it was the end of the road after throwing 113 pitches in 6.2 innings. Dodgers manager Don Mattingly had been here before. Kershaw came undone against the St. Louis Cardinals in the seventh inning of Game 1 in the 2014 NLDS, and was hurt again in the seventh in Game 4 of that series. Mattingly was criticized both times for allowing his ace to wilt away on the mound. So, he went to Pedro Baez on Friday night. Never one to be pleased with getting removed from a game, Kershaw was mindful of the self-inflicted damage he’d done. “I put myself in that spot, so not much room for arguing after you put yourself in that situation,” he said. Baez allowed a two-run base hit to David Wright before getting out of the inning. 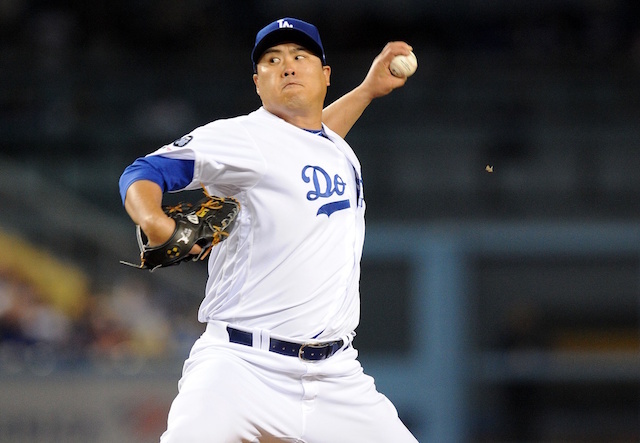 That wound up proving to be the difference as the Dodgers only mustered an Adrian Gonzalez RBI single in the eighth inning. Finishing the night with a line of 6.2 innings pitched, three earned runs, 11 strikeouts and four walks, the loss was Kershaw’s fifth consecutive in the postseason. Normally tough on same-side batters, Mets’ left-handed hitters enjoyed success against Kershaw. Six of their eight baserunners on the night hit left-handed; that includes Daniel Murphy, whose fourth-inning solo home run gave the Mets a 1-0 lead. “My first at-bat he chewed me up and spit me out,” Murphy said of Kershaw. “He doesn’t make a lot of mistakes and I was really fortunate to put a good swing on the ball he threw me on my second at-bat.” Kershaw admitted to not completely settling in against Mets’ left-handed batters, though also expressed little concern. 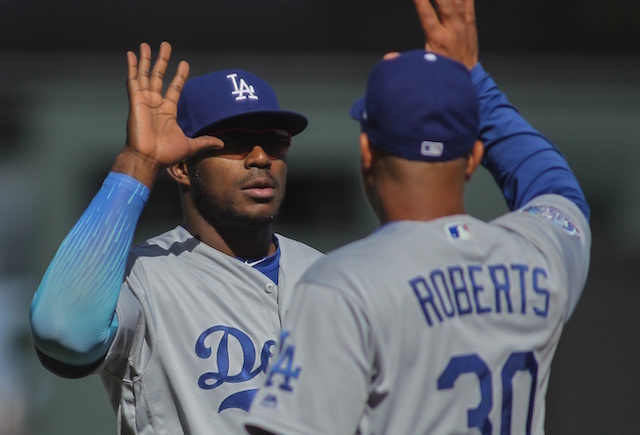 The Dodgers essentially find themselves in a must-win situation in Game 2 on Saturday with Zack Greinke taking the mound. Meanwhile, there will be no rest for the weary as Noah Syndergaard stands between Los Angeles earning a series split at home, or facing the daunting reality of Game 3 at Citi Field being one that could eliminate them.